358 Prison fence also known as “PRISON MESH ", it is a special fencing panel. We can make in our city, this production offers the best value for performance, durability and appearance. '358' comes from its measurements 3" x 0.5"x 8" gauge which equates to approx 76.2mm x 12.7mm x 4mm in metric. It is a professional structure designed for high security environments, combined with a steel framework, coated with heavily zinc or RAL color Powder coating. fence panel can be bent in part to enhance the aesthetic effect. Width from 2200----3000mm all available . Q1: How many years warranty HT-Fence offer? 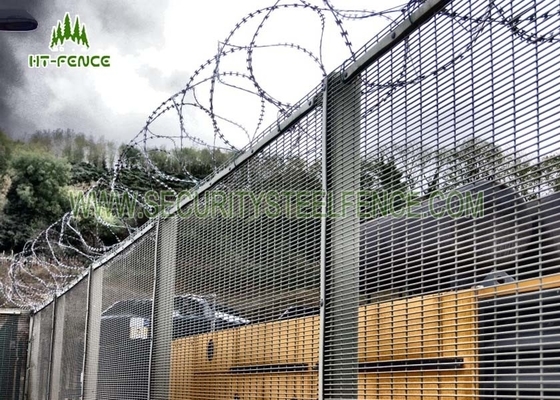 A1: It depends the using environment ,HT-Fence normally offer 10 Years, 20 Years Warranty. Q2: HT-Fence have technique support on installation ? A2: Yes ,we have professional engineer for installation guide service. 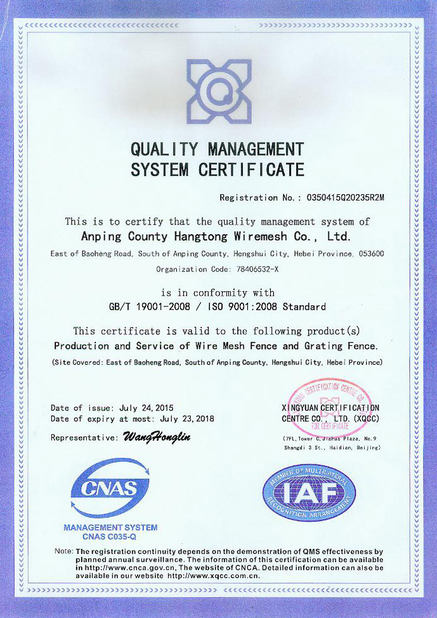 Q3: HT-Fence ISO Certified ? A3: Yes we are ISO9001 certified factory. Q4: Which countries have you exported your products to ?